The Haute Route Invitational has arrived requesting your presence at a less competitive version of the famously tough Haute Route experience. The focus is more on friendship and less on competition. It is the latest in a series of new events and formats introduced by the Haute Route in the last two years. Alain Lambert, head of Haute Route North America called it as a time of "tremendous expansion". And there is more, much more to come. The Invitational is described as "a smaller, more personal cycling experience focused on camaraderie, challenging rides in a stunning destination, and the service and support you trust from Haute Route". 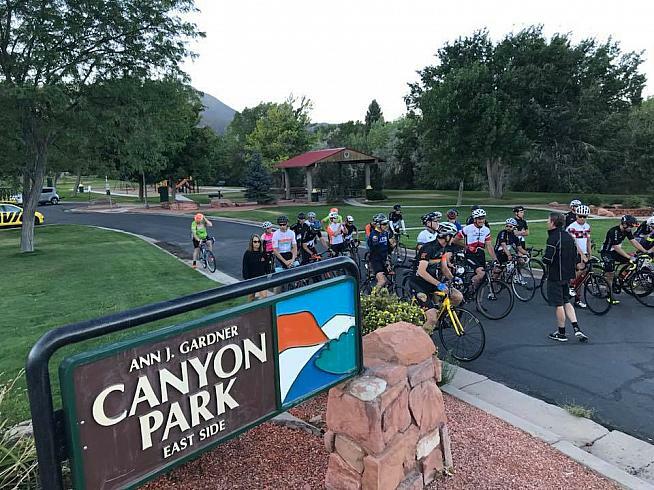 The first Invitational was in Utah in mid-September 2018 and flew under the radar with none of the wall-to-wall social media coverage that usually accompanies Haute Route events. "Every year there is a test event to test the route, test the hotels. Utah was more than a test and we opened it up to people," said Lambert. 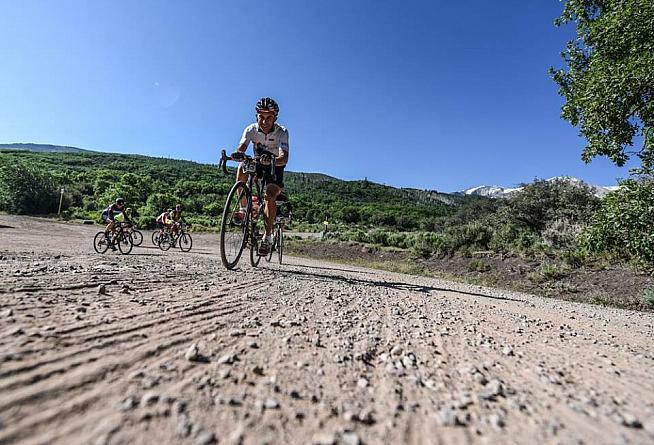 There is some evidence that Utah was initially intended as a three-day Haute Route event alongside San Francisco and Asheville and only later switched to the Invitational format. Footage on the Velo Cedar City Facebook page shows around 30 riders starting the first day. 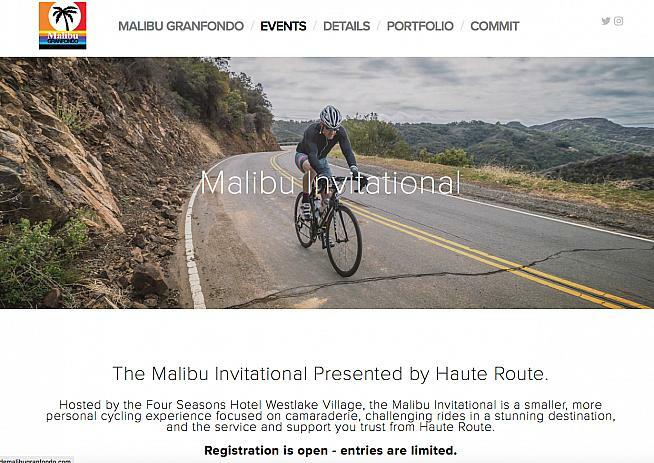 The next Invitational will come at the Malibu GRANFONDO, newly acquired by Haute Route, and will add a further wrinkle. The middle day of the Invitational is the gran fondo itself as the riders cover 203 miles / 327 kms with 18,300 feet / 5,600 meters of climbing over the three days. Participants will choose between an A group and a B group, both of which will have ride leaders " to help everyone ride and work together". The groups will be followed by support vehicles and feed stops will be set up. Using Strava, there will be timed sections during Friday's ride and the whole of Sunday's hill climb will be a Strava segment. The gran fondo on Saturday is chip timed. The Invitational format is the latest development in a wave of change and growth since 2016. In the beginning of the Haute Route were the Alps. Seven days traversing some of the most famous passes in cycling history. Then came the Pyrenees and the Dolomites, still one format, but now three flavors mountain ranges. In 2017 came the first Mavic Haute Route Rockies and the launch of a three-day format. 2018 saw more three-day events in Europe and, for the first time, America. 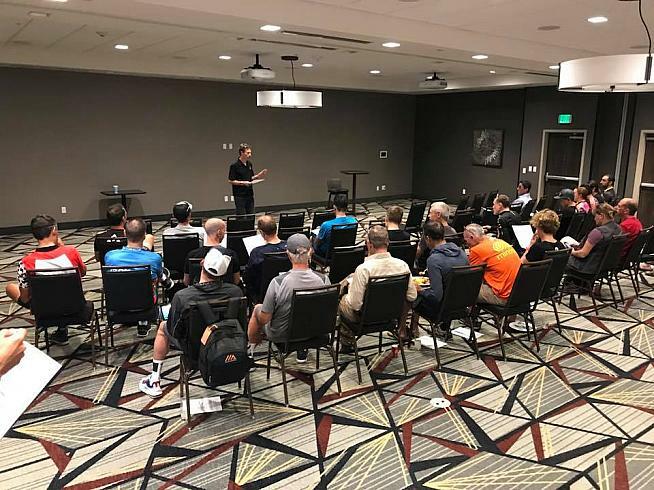 It also saw Haute Route buy nine one-day gran fondos, seven in the Gran Fondo National Series as well as the Malibu GRANFONDO and The Jensie in Marin County. Malibu and The Jensie will be folded into the GFNS having previously been partner events. "We have a number of ideas and initiatives we have to make the GFNS gran fondos progressively more of a cycling experience," said Lambert. He hinted that some of the features from the Californian events may become standard. "Maybe we will take the inspiration to the other seven events in the series". 2019 will see further geographical expansion with three-day events in Oman and Mexico, and the introduction of the Invitational. "With the Haute Route format you will see us consolidate our position,"said Lambert. "We have four very exciting cycling destinations. We will bring back unique features and add some new ones." He declined to specify what those additions might be ahead of securing the required permits and approvals, but did say "the goal is to have two three-day events in Canada in the future". OC Sport and its parent, Télégramme Group, a major French media, sports and entertainment group, have strong links to ocean yachting, but the recent expansion has not been all plain sailing. After a strong debut in 2017, the Mavic Haute Route Rockies saw participation halve in 2018. The results pages for the Haute Route Rockies suggests lower numbers, but the Haute Route says that the official participation was 400 in 2017 and 200 in 2018. "I think what you saw there was a lot of Haute Route alumni who had been waiting for a Haute Route event in North America," said Lambert. A fall off "was to be expected". Looking at the results, it is certainly true that the large number of foreign riders at the first event was not replicated in 2018. Haute Route events by their nature do not have huge fields. 2018's Haute Route Alps was a sellout with 400 riders. "Is it good for the Rockies to stay at 200? No. We want to grow from that," he said. The three-day events in San Francisco and Asheville drew 158 and 185 riders respectively, according to the results lists. For comparison, the Alpe d'Huez, Norway and Stelvio three-dayers had 209, 200 and 239 riders listed in the results. The Dolomites had just 122. "We understand that the Haute Route is a European concept and is much better known there" said Lambert. "For us, establishing us in North America is a long-term investment." He believes that numbers at the Rockies will improve with increased knowledge of the Haute Route and as people move up from the three-day events. "If anything, I think we are a little ahead of schedule from the corporate expectations," said Lambert. To stay on track Lambert is hiring a sales manager for Haute Route North America's Colorado Springs base. The role is to drive entry registration sales and commercial partnerships while promoting the brand. Although the pipeline from three-day to seven-day events is something the Haute Route hopes to see, it also, according to Lambert, works the other way. He himself has tackled the week-long Haute Routes, and now enjoys one-day gran fondos more because of the skills and experience he has accumulated. There are only so many seven-day events in your body," he joked "especially at our age." "We think we can get people in on the upside and keep them in the family," Lambert observed. "Also on the way back."